Campus Electric Bus Demo: Time for University of South Florida to Really GO GREEN! officials' response to their Green Bull Runner Campaign. When the University of South Florida Bulls take the field, fans yell "Go Green." But going green at USF means more than just pulling for a football team clad in green and gold. America's 9th largest university is one of the few that owns and operates its own transit bus fleet to move students around its Tampa campus. The Bull Runner fleet is now made up of over 40 old diesel buses that are all ready to be replaced. transit officials inspect a BYD zero emission electric bus. On September 28th USF's Parking & Transportation Services hosted a demonstration by BYD, the global leader in manufacturing electric buses, as well as China's top EV company. USF transit officials, drivers and maintenance staff kicked the tires and took a ride around campus, marveling at the smooth, quiet ride and how easily the electric bus maneuvered through the tightest sections of campus routes. This was USF's 2nd onsite demo of an electric bus in the past 6 months, following last April's presentation by Proterra at the Center for Urban Transportation Research on campus. When Sierra Club's Florida Healthy Air Campaign met with student environmental leaders last year, they quickly identified USF's heavily polluting diesel buses as a problem. Since then, USF Green Bull Runner Campaign leaders Lauren Jones and Dylan Thomas have been working hard to convince USF that electric buses are an immediate and lasting way to go green while improving air quality in Florida's smoggiest county. Green Bull Runner Campaign leaders at BYD demo. USF would reduce its annual greenhouse gas emissions by 73%, or 1,604 tons of GHG emissions, if it chose to completely transition its fleet to electric buses. Considering current sources of electricity, electric buses' net carbon emissions are just 22% of diesel buses, and only 23% of supposedly "clean" compressed natural gas (CNG) buses. While new diesel and CNG buses will emit just as much carbon in 2031 as they do today, zero emission electric buses will steadily get cleaner throughout the 15 year life of a bus as utilities continue to add more renewable energy to their portfolios. For years, USF has been known for environmental innovation and forward thinking. From the Patel Center for Global Sustainability to the new solar panels on top of the Marshall Student Center, innovation has been at the core of faculty and student involvement. USF always ranks high on Sierra Club's annual Cool Schools list, but in the past 2 years it's fallen out of our Top Ten, with transportation an area noted for improvement. Moving forward now to replace its aging diesel buses with electric will be one more way for USF to live up to its motto and truly Go Green. Florida Power & Light’s move to hike up its rates by $1.3 billion per year has brought together diverse opposition—including the Sierra Club, retirees on fixed incomes, hospitals, the U.S. military, and even Walmart Stores. As part of the rate hike, FPL wants more than $2 billion for new natural gas-burning power plants in South Florida. But the last thing Florida needs is more gas. Already, nearly 70 percent of FPL’s electric generation relies on natural gas, while less than one-tenth of 1 percent comes from cheap, clean solar power. This, in the Sunshine State. FPL’s exceptionally heavy reliance on natural gas exposes Floridians to price shocks in a volatile market, and produces heat-trapping, climate disrupting carbon dioxide. Our communities, and our natural resources, would be best protected by a diverse energy supply that includes more solar, energy storage, and energy efficiency. Yet FPL’s CEO testified in August that the company actually plans to increase its reliance on dirty fossil fuels over the next 10 years. He also testified that FPL doesn’t plan to build more solar until 2021 even though headmitted solar is “cost-effective” now. Other FPL witnesses admitted under oath that solar power today is cheaper than running FPL’s fossil plants, and that energy efficiency and other alternatives can be “very cost-effective” and help customers save money on their bills. FPL has also admitted there was no reliability requirement, or any other legal mandate, to commit more than 1 billion dollars to swap and expand FPL’s existing gas plants with more gas plants. Almost no one likes FPL's proposal (except the company's shareholders, who would do quite well under the deal). Consumer advocates are apoplectic that just to keep their lights on customers, especially those in lower income brackets, should have to pay so much more money to a company that is already raking in record profits. Large industrial facilities, whose electric bills can be thousands of times higher than homeowners’ and small businesses, fear any rate increase that harms their competitiveness in a global marketplace. Florida also sits at climate ground zero. Yet it is building climate disrupting fossil plants at frenetic speeds—with the state’s largest utility, FPL, leading the charge. When Sierra Club and others asked FPL witnesses about the costs and risks of the company’s huge bet on fossils, they had no good answers. They admitted, for instance, not even measuring how FPL compares to other utilities given all the pollution from extracting natural gas through methods such as fracking, and then piping that fracked gas all the way from Texas and Pennsylvania. Tellingly, FPL’s parent company, NextEra, is doing almost the exact opposite of FPL. NextEra has beenselling off its natural gas plants, bolstering its position as the world lead solar and wind developer (everywhere but Florida), and making significant investments in battery storage. Back in Florida, where approximately half the state’s customers are stuck with FPL, state law requires all new major new power plants to undergo a thorough pre-construction review by the Florida Public Service Commission. Basically, a company like FPL is supposed to present the Commission—and the public—with substantial evidence to prove a new power plant is actually needed and the least cost option before building the plant or asking to raise customers' rates to cover the costs. FPL admits it never did this. FPL’s CEO testified that the company never obtained (or even requested) pre-construction approval for the more than one billion dollar new and refurbished gas plants, using twisted logic to assert that the law doesn't apply. Some observers are cynical about the rate case—now pending before the Commission. They point out that FPL wields a lot of influence in Tallahassee, and note that the company continues to be very generous with political donations to state elected officials. FPL doesn't appear to have met the basic minimum legal requirements for this rate increase, and its proposal to double down on dirty, dangerous fossil fuels is not in the public interest. Here's to hoping the regulators tell FPL to go back to the drawing board, and let Floridians keep more of their money for themselves, not FPL’s shareholders and the out-of-state fracked gas industry. 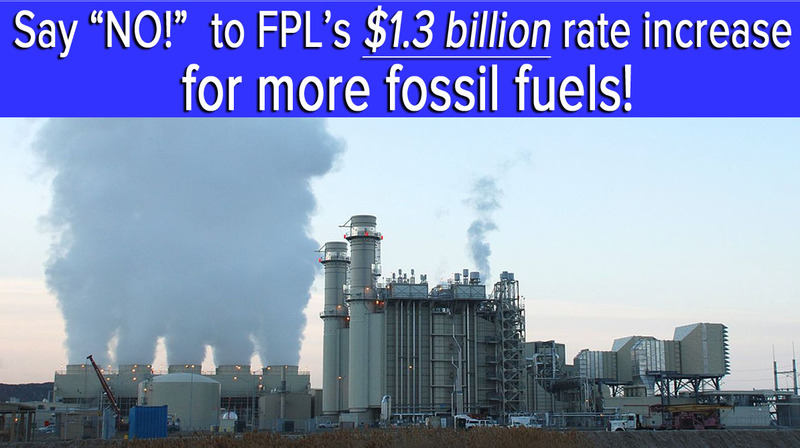 Click here to tell FPL you oppose rate hikes for more fossil fuels. Melissa Williams is a senior press secretary for the Beyond Coal Campaign. Nachy Kanfer is the deputy director for the Beyond Coal Campaign in the Eastern U.S.
(Okeechobee, FL) Today, at the 16 County Ecosystem Summit of the County Coalition for Responsible Management of Lake Okeechobee, St. Lucie and Caloosahatchee Estuaries, and Lake Worth Lagoon, representatives of many environmental organizations involved in Everglades restoration presented a collective message to the residents and leaders of the Glades communities. Organizations that signed the statement include Sierra Club, Arthur R. Marshall Foundation for The Everglades, Audubon Florida, Audubon Society of the Everglades, Bullsugar.org, Captains for Clean Water, Clean Water Action, Everglades Foundation, Everglades Law Center, Everglades Trust, Florida Oceanographic Society, Florida Wildlife Federation, Friends of Arthur R. Marshall Loxahatchee National Wildlife Refuge, Indian Riverkeeper, International Dark-Sky Association FL Chapter, Naples Backcountry Fly Fishers, National Parks Conservation Association, Reef Relief, Sanibel Captiva Conservation Foundation, Save the Manatee Club, South Florida Audubon Society, and Tropical Audubon Society. ● We share common ground with the residents of the Glades communities – by working together we can develop win-win solutions. ● We extend an open invitation to meet with Glades residents and leaders at their convenience. ● We oppose the flooding of any Glades community. Any claim to the contrary is false and very likely made up by the sugar industry. 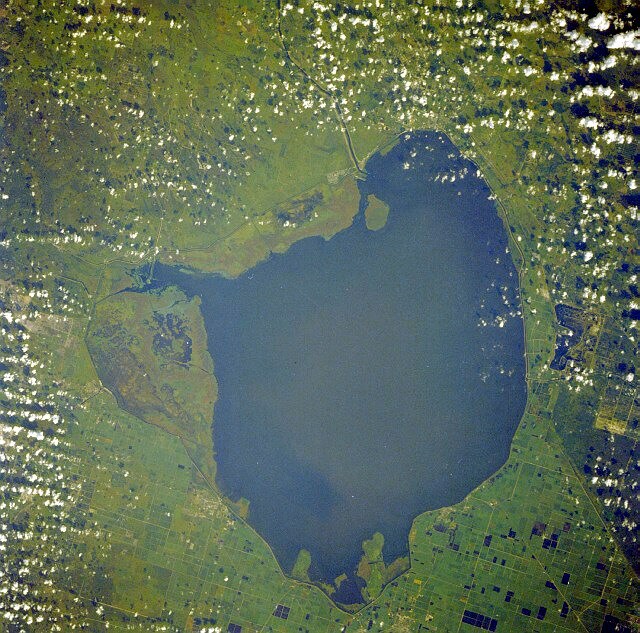 ● Raising Lake Okeechobee water levels to store more water will hurt the lake and its fishery and increase the risk of flooding to communities around the lake. ● We support strengthening the Herbert Hoover Dike as quickly as possible. ● We support science-based restoration. 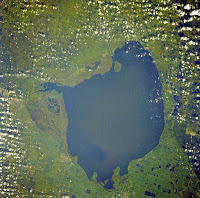 The need for additional land to store and treat water within the boundaries of the Everglades Agricultural Area is well-documented by many scientists and government agencies. ● More land in the EAA is needed to restore the Everglades and Florida Bay, to stop harmful discharges into the St. Lucie and Caloosahatchee estuaries, to reduce pressure on the Herbert Hoover Dike, and to ensure the water supply for 8 million South Floridians. ● Planning for water storage within the EAA must include all stakeholders – Glades residents, environmentalists, business owners, farmers, and sugar-industry representatives – and it should begin immediately. ● State Senator Joe Negron’s land purchase proposal, from willing sellers, would help implement CERP, which includes a critical project for water storage. An EAA storage project has been an integral part of CERP since its adoption and will be managed to ensure the safety of all South Florida residents. ● Glades interests have participated in the CERP public planning process since its inception in 2000; however the sugar industry has dominated the conversation on behalf of interests located within the Everglades Agricultural Area. ● We welcome and support the right of Glades residents to hear and be heard. ● We believe it is possible to implement a transition from the current economy of the Glades to a diverse, robust economy that includes sugar, but is not wholly dependent upon sugar. Handouts containing the same message were distributed to officials and the public. Washington, DC -- Today, the Sierra Club, Flint Riverkeeper and Chattahoochee Riverkeeper filed a lawsuit in the U.S. Court of Appeals for the District of Columbia challenging the Federal Energy Regulatory Commission’s (FERC) approval of the massive Southeast Market Pipeline project, which involves 685.5 miles of natural gas pipeline for approximately 1.1 billion cubic feet per day of natural gas to markets in Florida and the southeast United States. The groups contend the FERC failed to analyze the climate impacts of the project and the power-plants it would serve and also failed to adequately analyze alternate routes that would have less impacts on the environment and communities of color. The Project, which includes the 515 mile Sabal Trail pipeline, would transport fracked gas across 699 waterbodies, lakes, rivers, and streams and harm 1,958 wetland systems in three states: Alabama, Georgia, and Florida. It would also extend through central Florida and southern Georgia over an area that provides drinking water to approximately 10 million people. Pipeline construction alone poses a threat to local water resources as the process threatens to release hazardous materials and drilling mud into the aquifer, polluting the drinking water, and resulting in rapid transmission of drilling mud over great distances. The Council on Environmental Quality recently issued guidance to agencies underscoring the importance of evaluating the climate impacts when assessing environmental impacts as required by law. Methane, released when extracting and transmitting gas, is 87 times as potent as carbon dioxide over 20 years. In addition, the power plants to be served by the project would emit greenhouse gases into the environment and foreclose less polluting alternatives such as wind and solar. “In order to avert the worst impacts of climate change, it’s essential that FERC does its job and fully considers climate impacts before approving any new gas pipelines like Sabal Trail,” said Eric E. Huber, Sierra Club managing attorney. “FERC used a distorted census tract analysis to evaluate the environmental justice impacts of locating a massive 40-acre polluting compressor station facility in the middle of a black neighborhood, and failed to consider the undeniable climate change impacts of burning 1.1 billion cubic feet of natural gas each day that will be transported by this pipeline project in violation of the National Environmental Policy Act (NEPA),” said Steve Caley, Legal Director for GreenLaw who is representing the petitioners in their challenge to FERC’s approval of the Project. A large sinkhole is now open beneath a gypsum stack at the Mosaic’s New Wales in Mulberry. A massive sinkhole that opened up ​three weeks ago underneath a gypsum stack at a Mosaic phosphate fertilizer plant in Mulberry has dumped ​at least 215 millions of gallons of contaminated water into the Floridan Aquifer. The Floridan Aquifer provides drinking water for 60 percent of Florida residents. "This new sinkhole demonstrates that the waste disposal methods of Mosaic's fertilizer processing plants and gypstack disposal systems can be dangerous to the environment and the health of our community," said Beverly Griffiths, Chair of Sierra Club Florida's Phosphate Committee. "The Army Corps of Engineers and the State of Florida need to pause before approving Mosaic's requested permits for new mines in Manatee, Hardee and DeSoto counties," said Griffiths. "The Army Corps needs to add a Supplement to its Areawide Environmental Impact Statement that considers impacts of fertilizer processing plants and gypstacks on our aquifer, drinking water, and natural environment." The Sierra Club Florida Phosphate Committee has a long history of monitoring Mosaic's impacts on the environment and was an active participant throughout the Area-wide Environmental Impact Statement (AEIS) process, submitting extensive comments at every stage of the process. During that time, Sierra Club Florida called on the Army Corps of Engineers to include the environmental impacts of fertilizer processing plants and gypstacks operated by the phosphate mining industry in the study. The Corps declined to discuss or consider these impacts stating that fertilizer processing was unrelated.